1) Illuminations: Reflections of Earth – After enjoying a long and entertaining day exploring all that World Showcase has to offer, guests should stay to park closing to watch a beautiful nighttime show. Illuminations: Reflections of Earth runs nightly on World Showcase Lagoon and celebrates the story of Earth and how the world began, life formed, and the spirit of hope for the future. The beautiful show features fireworks, wonderful music, special effects, dancing water, laser lights, pyrotechnics, and more to showcase the many different changes that our planet has been through. 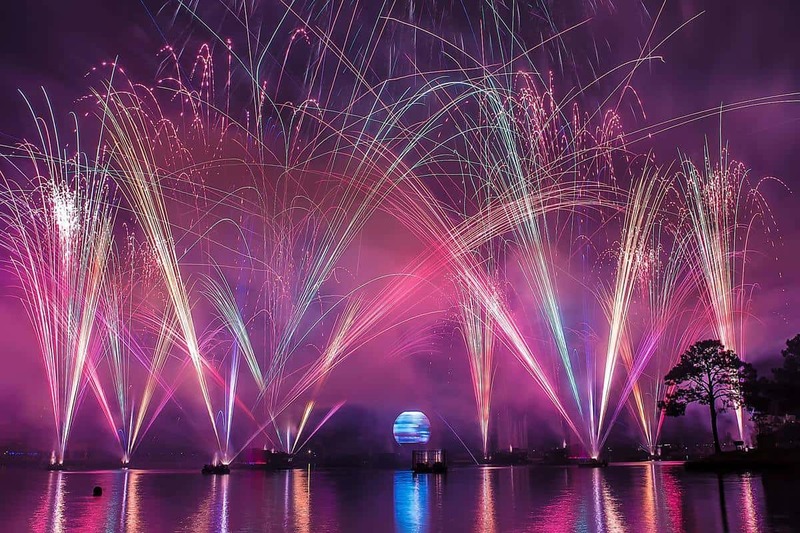 Before the amazing final of Illuminations: Reflections of Earth, a massive globe spins out into the middle of World Showcase Lagoon and portrays beautiful scenes from nature before opening up to reveal a giant flame. Illuminations: Reflections of Earth is the perfect ending to any day spent enjoying Epcot’s World Showcase and since the show is so popular, the areas around World Showcase Lagoon tend to fill up quickly. Guests who want to ensure the perfect view should plan on finding a spot at least an hour before show time for the best vantage!